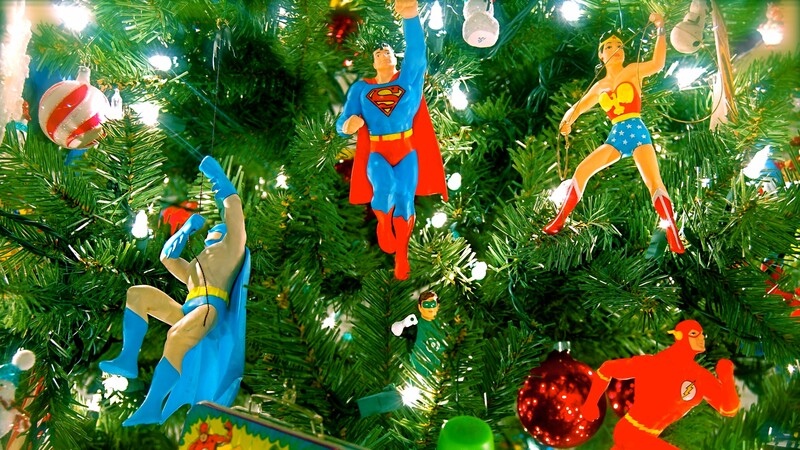 Christmas in July is not only a marketing phenomenon—a way for stores in North America to kill time until “back to school” shopping season fully kicks in in early August—but also an occasional pop cultural reference, including in cartoons. The series featured several Christmas episodes during its run…and no, the characters didn’t age any, despite remembering previous holidays clearly enough. However, in the first season episode “A Lime to Party,” Caitlin finds her job at the Lemon in danger of moving to a strip mall if business doesn’t improve. This is no thanks to Jonesy‘s latest job, working at a rival limeade drink stand. Jen suggests Caitlin throw a “Christmas in July” party to boost business. The picture accompanying this post shows it didn’t exactly work. The episode “Heatwave Holiday” sees Garfield get the idea of pretending it’s winter to take his mind off a massive July heat wave. Jon and Odie get into the spirit as well, and start hanging up Christmas decorations. Arbuckle’s neighbors think he’s just putting up his Christmas decorations early, and start to do the same. This leads to the entire town decorating for the holidays five months early. Jon, Garfield, and Odie are surprised, but decide to roll with it and exchange Christmas gifts… at least until the city government declares (after an investigation) it’s actually July. “Rudolph and Frosty’s Christmas in July” was a 1979 movie by Rankin-Bass. It was an attempt to turn the “Christmas in July” concept into a theatrical film. Unfortunately, the effort didn’t succeed. Wikipedia says the film was only released theatrically overseas; it debuted in the US on ABC in late November. The plot focuses on Rudolph and Frosty trying to save a seaside circus from foreclosure over the Fourth of July holiday. They also fight a wintry-themed villain. The film represents something of a grand finale for the various classic Rankin-Bass specials. It’s the final Rankin-Bass appearances of Frosty, Rudolph, and their version of Santa. The later mid-80s special, “The Life and Adventures of Santa Claus,” is about the L. Frank Baum version of St. Nick. Rankin-Bass also manages to combined their various specials’ continuities into one film. Even the then-recent specials “Rudolph’s Shiny New Year” and “Jack Frost” are referenced in the story! The film also features Ethel Merman as a celebrity voice. “Rudolph and Frosty’s Christmas in July” usually airs in December on ABC Family. It’s also available on DVD. While not set in July, the 1949 Bob McKimson cartoon “Daffy Duck Hunt” features Daffy trying to trick Porky Pig and the Barnyard Dawg into thinking it’s Christmas by dressing up as Santa and singing “Jingle Bells.” It briefly works, until Porky realizes it’s actually April.